The cottage had enough space our big group (12 friends) and a big living room! The location was perfect, close to the city center and quiet enough to sleep well and see Northern Lights (not too many street lights). We absolutely loved our stay and special shoutout to our host Anni for being so helpful! Das Haus ist wirklich sehr schön ausgestattet und eingerichtet. 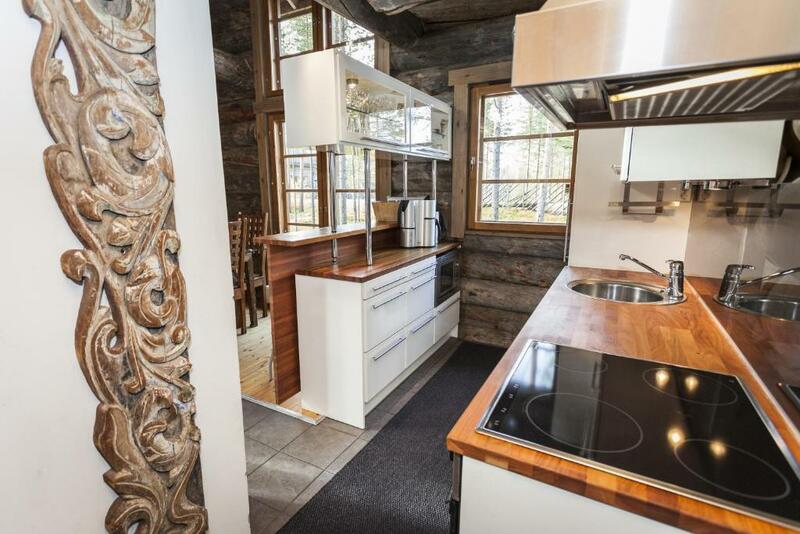 Super Chalet perfekt in die traumhafte Landschaft integriert, Fußweg nach Levi bzw. zu den meisten Veranstaltern ca.10 min. Store fine soverom. Badstu var stor og bra. Kjempe svær stue/soverom i kjeller. Современное трехэтажное шале выполненное из сруба. Очень интересный дизайн самого шале, внутри все продумано. Фото соответствуют действительности. Полноценная кухня со всеми принадлежностями. На первом этаже есть сауна с душевыми, две электросушки. На каждом этаже общий санузел. WiFi - хороший. За окном лес и речушка в 30 метрах. Классное расположение на природе. Магазины, рестораны - в пешей доступности. Подъемники где-то в километре, двух. Рядом в окрестностях полно озер и речек. Кругом лес. Летом полно черники и костяники. По дорогам гуляют олени. Lock in a great price for LevinPesä Chalet – rated 9.2 by recent guests! One of our top picks in Levi.Featuring mountain- and river views, LevinPesä Chalet is a luxury, 4-bedroom log-wood chalet in Levi. 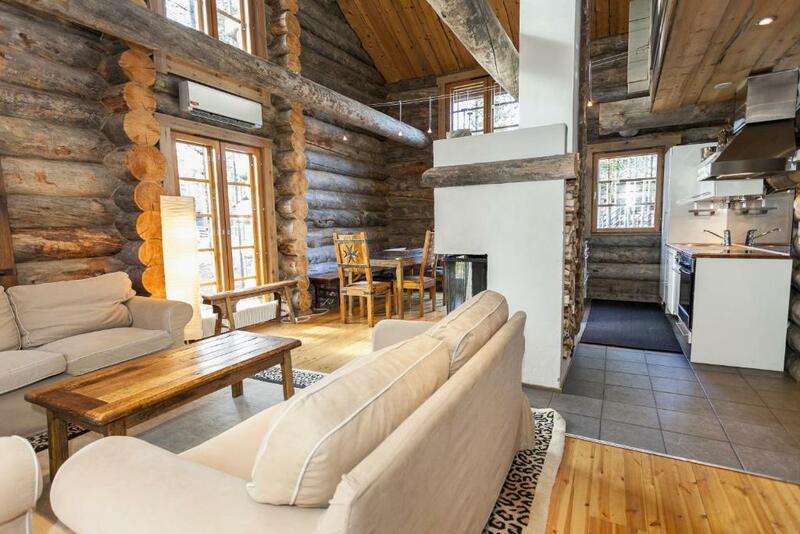 It offers 2 living rooms and a fireplace, sauna and terrace. WiFi and parking are free. Entertainment options include two 40-inch LED TVs with Blu-ray/DVD players. 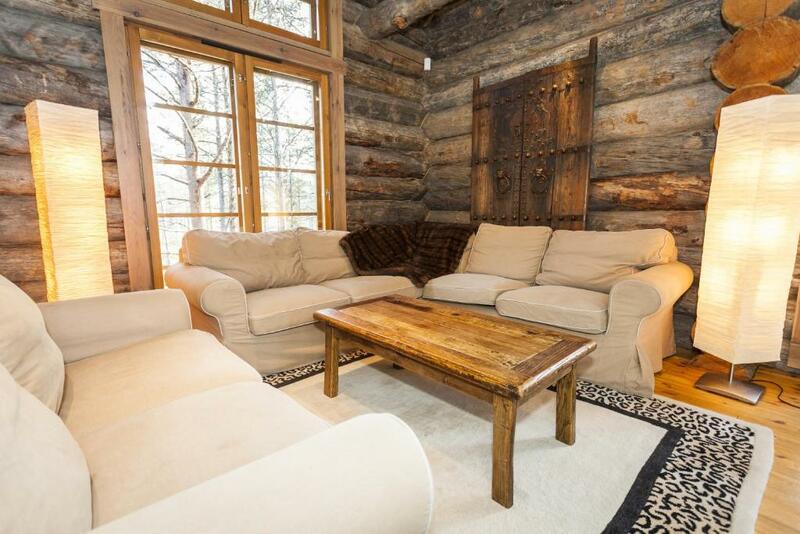 There is a full kitchen with a stove, microwave, dining area and dishwasher. 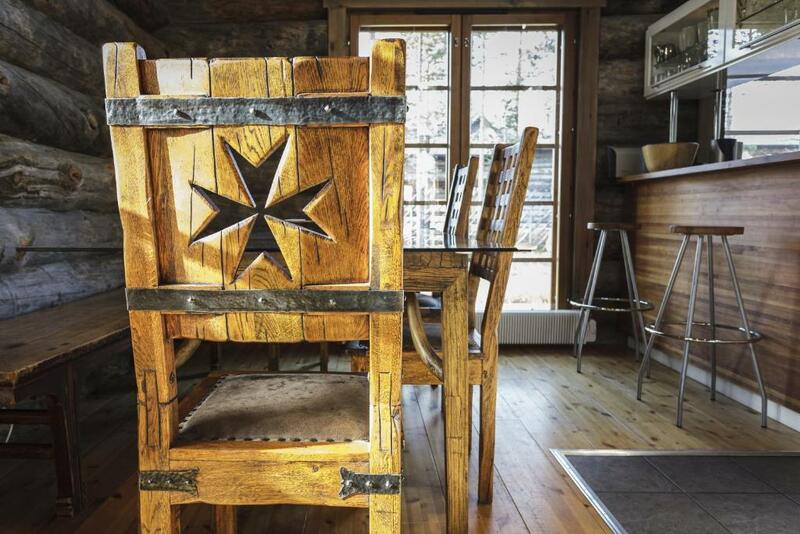 Unique, modern design and décor is found throughout the chalet. 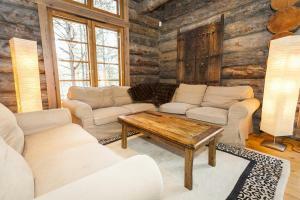 Other facilities include 3 bathrooms, a laundry room and ski storage facility. 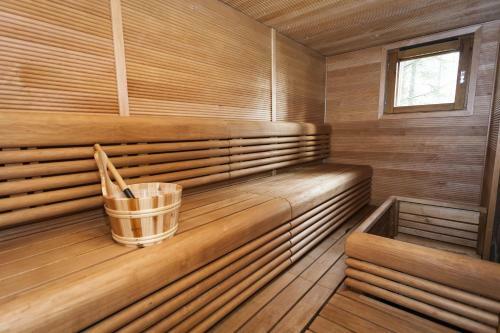 The sauna has direct access to a terrace facing the Myllyjoki River, which is perfect for a refreshing dip. An array of activities can be enjoyed on site or in the surroundings, including skiing, cycling and fishing. Spa Water World is 2,950 feet away, and Congress & Exhibition Center Levi Summit is within 0.9 mi. 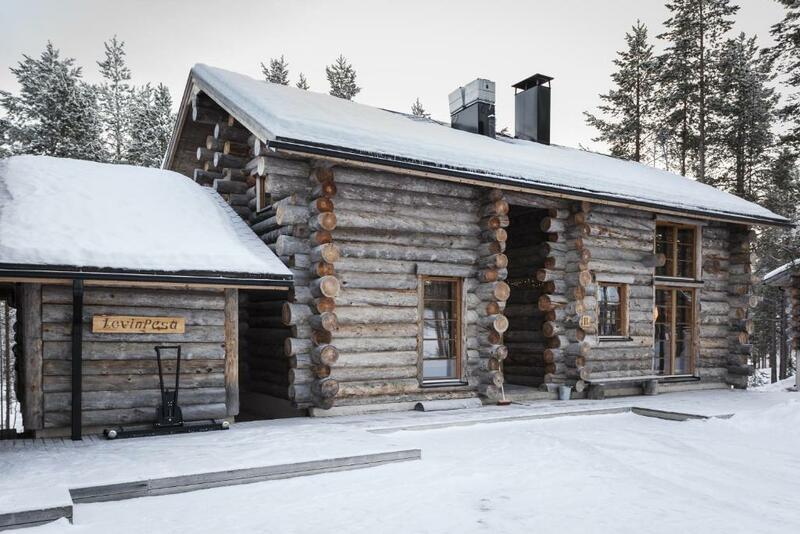 LevinPesä Chalet is 8.1 mi from Kittilä Airport. 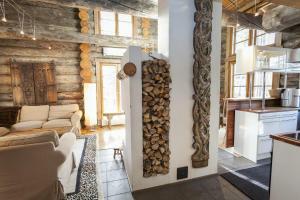 When would you like to stay at LevinPesä Chalet? 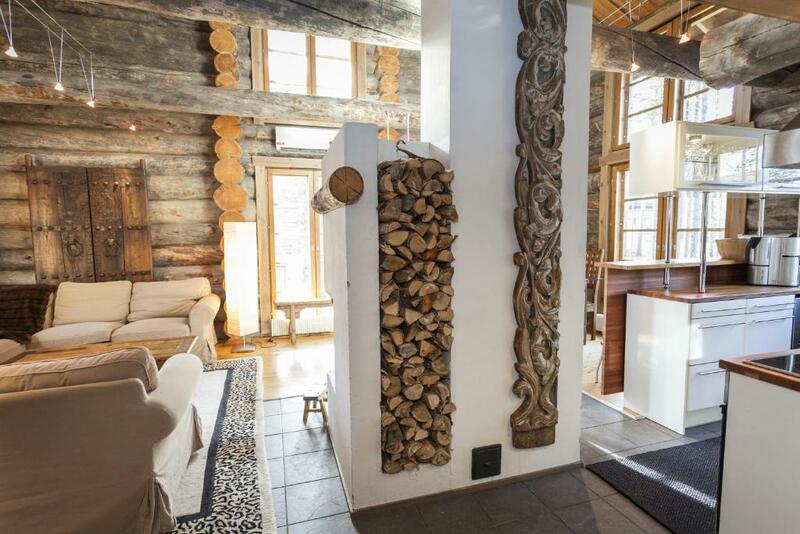 Modern, luxury chalet with a private sauna, terrace, fully equipped kitchen and 2 living rooms with multimedia entertainments systems. One of the bedrooms has direct access to a balcony. House Rules LevinPesä Chalet takes special requests – add in the next step! 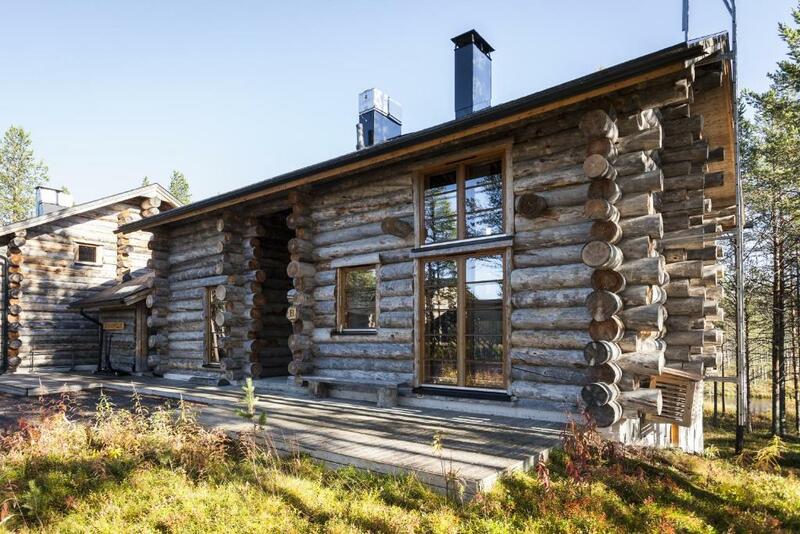 Please inform LevinPesä Chalet of your expected arrival time in advance. You can use the Special Requests box when booking, or contact the property directly using the contact details in your confirmation. The wifi worked but it was slow when several people used it and it wasn’t strong enough for skype meetings or so.